Logan Airport 9/11 Memorial - Prolume, Inc. The Logan Airport 9/11 Memorial is a permanent memorial that honors the passengers and crews of American Airlines Flight 11 and United Airlines Flight 175, the two planes that departed Logan Airport for Los Angeles, but were hijacked by terrorists who flew them into the World Trade Towers in New York. It is a place of reflection designed to provide a measure of comfort to all those whom tragedy has touched and will touch in the years to come. 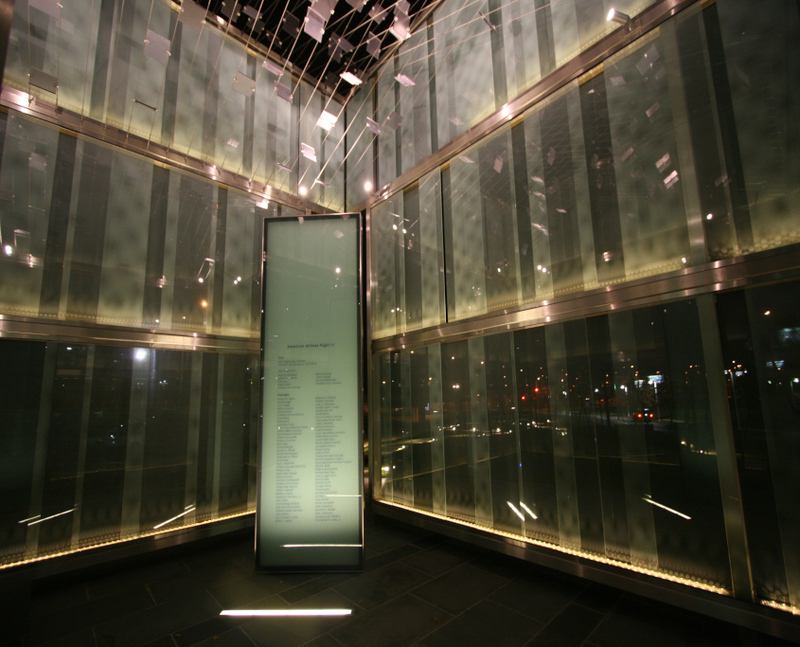 Landscaped paths lead to a large glass cube that presents two glass panels etched with the names of every person aboard each flight. 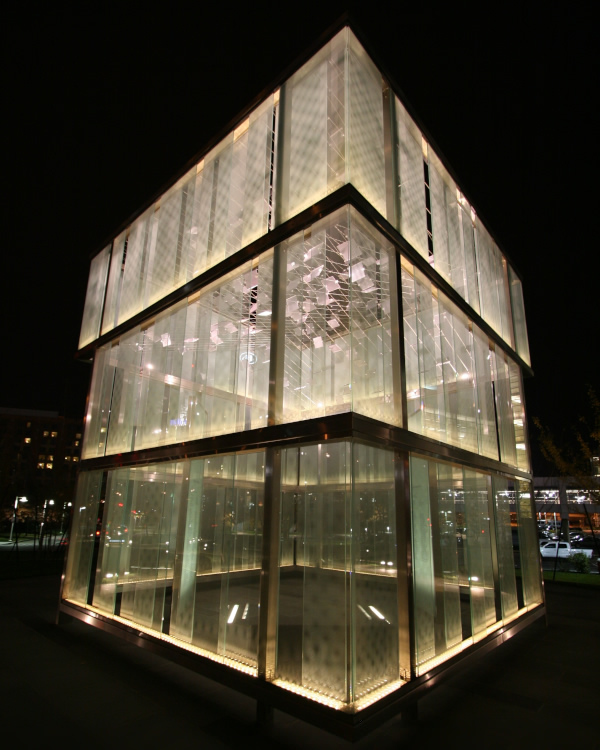 From inside, visitors look up at a sky transformed by a prism of reflective panels by day and glows with a soft light by night.